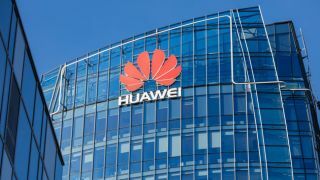 Huawei's chief financial officer committed fraud when she lied about links between her father's company and a shell company used to sell telecommunications equipment to Iran, according to Canadian prosecutors who went before a Vancouver court over the weekend. Meng Wanzhou appeared in court Friday as she sought bail after being arrested in Canada during a layover on her way to Mexico. After more than fiver hours of debate, the court was still undecided as to whether to grant her bail and the hearing will resume on Monday. If Huawei's CFO is unable to prove that the company did not break US sanctions by selling telecoms equipment to Iran, she could be extradited to the US where the charges against her could land her 30 years in prison. The daughter of Huawei's founder Ren Zhengfei is being charged with engaging in “conspiracy to defraud multiple financial institutions” over the fact that she tried to convince bankers that the company and a former Hong Kong subsidiary called SkyCom were wholly separate entities back in 2013. The fact that SkyCom employees used Huawei email addresses and bank records linked the two companies together. SkyCom was used as a proxy to engage in business deals with sanctioned countries and dealt directly with Iranian telecom companies. We will likely hear more on this controversial case once the court makes its decision on whether or not to extradite Meng to the US where she faces formal charges.